I’ve always hated the whole “anti-aging” campaigns we’ve seen done over and over again. They seem forced, inauthentic and honestly kind of tone deaf. In my opinion, the fact will always remain that we’re all going to age at some point. There’s nothing we can do to stop that. No matter how many creams, serums or other topical additions we can add to our skin, we will eventually see the effects of getting older. That’s not to say that there aren’t women who truly age gracefully. Angela Bassett, Tina Turner, Oprah, Cicely Tyson, Nia Long, Gabrielle Union, Jennifer Lopez, and so many other women of color have proven that taking care of yourself, internally and externally, can really defy what it means to age. So, when Lauren Napier, a makeup artist turned skincare genius, sent me FLAUNT, I felt a sigh of relief. Not just for me, but for women all over who are probably tired of believing that in order to age gracefully, they should do their best to prevent themselves from aging at all. 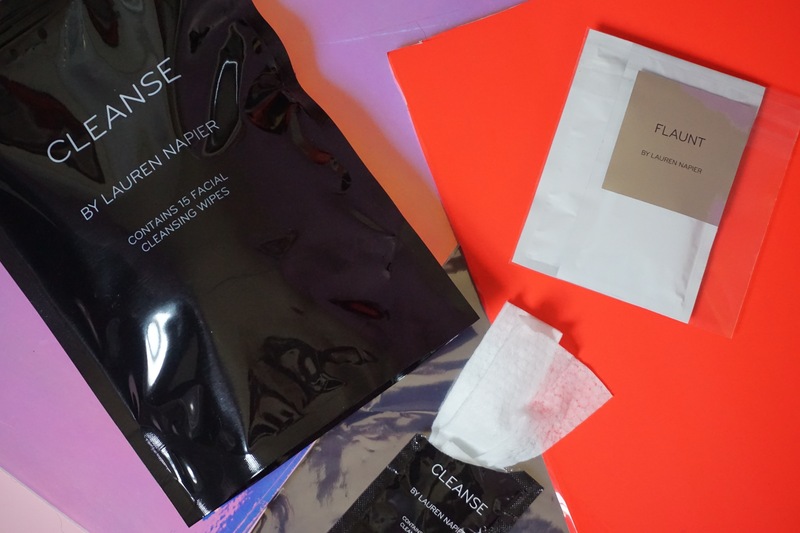 FLAUNT is the sister face wipe to her CLEANSE makeup removing collection, which I and many other beauty editors swear by. Finally, someone gets it. Skincare should never be about preventing the inevitable by going to extra-dramatic extremes that could also be harmful (but of course, to each her own). Instead, the aging process should and can feel glamorous, beautiful and supported by brands like FLAUNT. The facial wipes are infused with Noni extract, Pink Guava, Lycopene, and Selenium. Let us break the ingredients down really quickly. Noni extract is rich in Vitamin C, which tackles adult acne, rough and dry skin and dark spots. Guava provides vitamin K, which helps heal the skin and stimulates collagen production. Selenium preserves skin’s elasticity and Lycopene protects skin from damage, such as UV rays and even pollution from our everyday environments. Launching this month, FLAUNT will be available on Napier’s site and CLEANSE is currently available online.